Hampton Hall’s new owner has the villagers of St. Hampton Heath all aflutter—all except Lavinia Ellison. The reverend’s daughter cares for those who are poor and sick, and the seventh Earl of Hawkesbury definitely does not meet that criteria. His refusal to take his responsibilities seriously, or even darken the door of the church, leave her convinced he is as arrogant and reckless as his brother—his brother who stole the most important person in Lavinia’s world. Nicholas Stamford is shadowed by guilt: his own, his brother’s, the legacy of war. A perfunctory visit to this dreary part of Gloucestershire wasn’t supposed to engage his heart, or his mind. 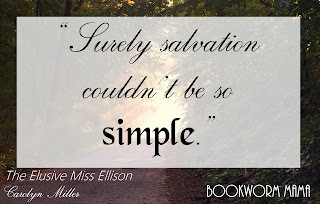 Challenged by Miss Ellison’s fascinating blend of Bluestocking opinions, hoydenish behavior, and angelic singing voice, he finds the impossible becoming possible—he begins to care. But Lavinia’s aloof manner, society’s opposition and his ancestral obligations prove most frustrating, until scandal forces them to get along. A beautiful setting and a heart touching tale of forgiveness and redemption. A very sweet story that had me falling in love with Gloucestershire and Beagle puppies! 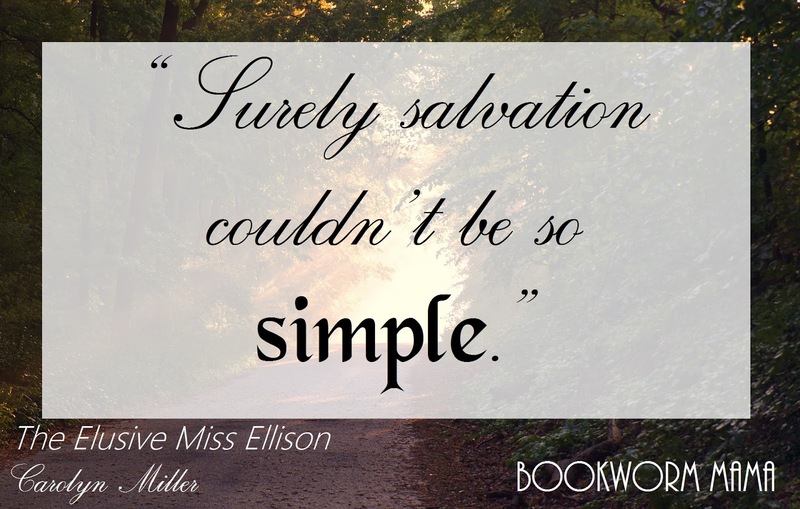 The Elusive Miss Ellison is Carolyn Miller's debut novel and I applaud her creativity and gift for story! The descriptions of the settings, homes, and gowns were so detailed that I can still see the images in my mind. Miss Ellison and Lord Hawkesbury have so many challenges to overcome. In their personal lives as well as with their relationship with their families and each other. Learning to lay down their pride and lean on God for truth and guidance was a very encouraging thing to witness. I did enjoy this story and I am very excited to continue the series. However, the flow of the story and some inconsistency in the characters had me confused on multiple occasions. Hence my rating. That being said, the words and language was elegant and soothing. I found it very fun to read terms used in Regency times that I had to look up. This aspect added an extra level of depth to the story. There are several acknowledgements to Pride & Prejudice, which is always a delight to find in books. I am eagerly looking forward to following the author's growth and progress in her books to come. If you enjoy Regency stories with romance and redemption, I suggest you give this one a try! I received a complimentary copy of The Elusive Miss Ellison from Kregel Publications through NetGalley. I was not required to write a positive review. All opinions expressed are mine alone. 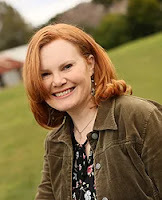 I'm an Inspirational Regency romance author who lives in the beautiful Southern Highlands of New South Wales, Australia. I'm married to Joshua, and mother to Caitlin, Jackson, Asher & Timothy. I love reading (especially Jane Austen and Georgette Heyer), music, films, ice hockey, gardens, art, travel, & food! My husband and I pastored a church for over ten years. I'm enjoying the journey of writing, of creating worlds where flawed people can grow in faith, hope, and love. I am represented by Tamela Hancock Murray of the Steve Laube Agency.